”Razor sharp execution of ’smørrebrød’… in a cosy ambience, with efficient service and reasonable prices,” ensured us five stars from Søren Frank, Restaurant Reviewer at Danish daily, Berlingske. The review was published on Thursday 7 February 2019. 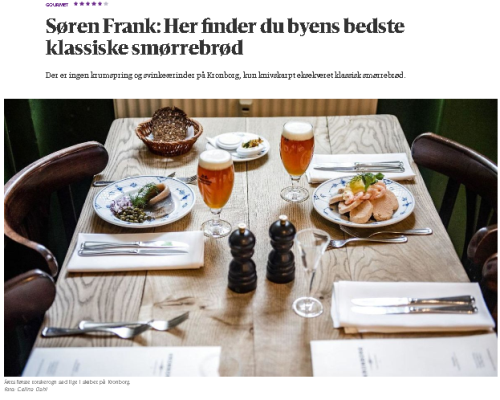 “There is no fiddling about at Kronborg, just razor sharp execution of classic ‘smørrebrød’ (aka open-faced sandwiches),” writes Søren Frank, one of the most respected restaurant reviewers in Denmark, in the Danish daily Berlingske Tidende on Thursday 7 February 2019. 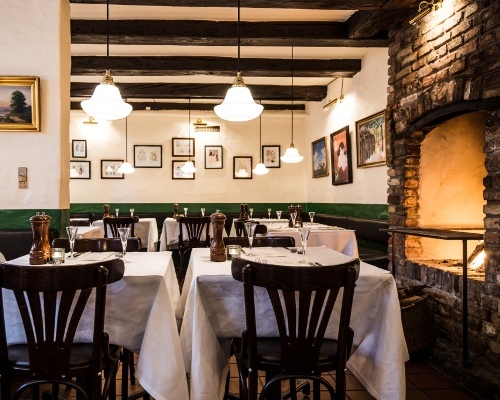 “The seasoning was perfect, distinct without being too much and it is – without comparison – the best traditional meat balls I have had in a Danish restaurant,” said Restaurant Critic, Martin Kongstad about our ‘frikadeller’ (meat balls). Martin Kongstad even included our humble ‘frikadeller’ on his Top-5 list of food experiences in 2018 (photo: Radio 24/syv). 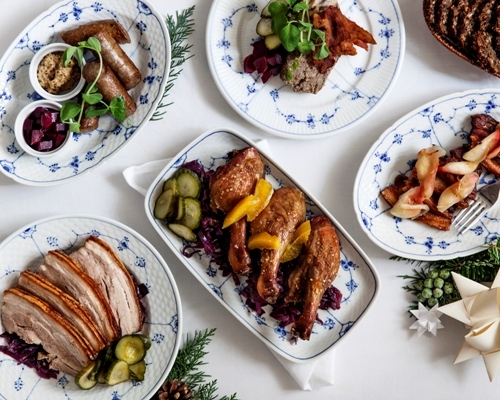 “I have never – and I repeat – never had decent ‘frikadeller” (meat balls) in a lunch restaurant,” says Restaurant Critic, Martin Kongstad, when he reviewed our Christmas Lunch in November 2018. “Be ready for Restaurant Kronborg’s epic ‘Gentlemen’s Lunch’ with an empty stomach ready for all the pan-fried plaice and sweet remoulade, roast pork with pickled red cabbage, and the fresh beef tartare of the season you can handle,” recommends Journalist and Foodie Alexandra Pereira in her article about the best ‘smørrebrød’ restaurants in Copenhagen. 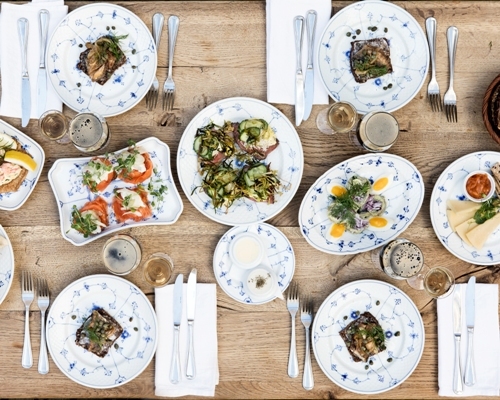 “Take a dazzling, delicious (and maybe slightly schnapps-hazed) tour of Denmark’s national treasure: the open-faced sandwich aka ‘smørrebrød’,” invites Journalist and Foodie par excellence Alexandra Pereira in the Icelandic magazine WOW. 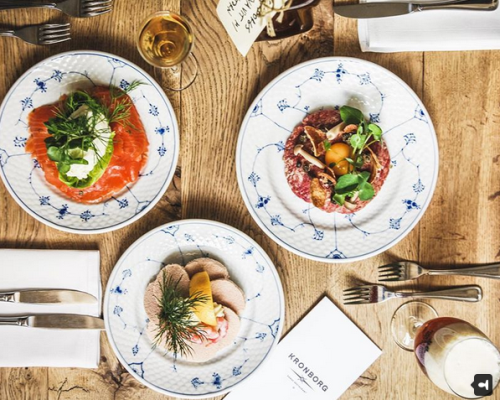 Ole Troelsø readily recommends Restaurant Kronborg if you are looking for modern ‘smørrebrød’ in a classic environment with 18th century Copenhagen charm. Ole Troelsø is the Culinary Editor at Danish business daily Børsen and Author of the book “The Best ‘Smørrebrød’ in Denmark”. “The Christmas lunches are fast approaching and it is time to probe the market for ‘smørrebrød’,” says Ole Troelsø, Culinary Editor at the Danish business daily Børsen, under the headline “The Map of the Best ‘Smørrebrød’ in Denmark”. “Here it’s all about “hygge” and home-made food made from great ingredients and there’s plenty of it,” write the foodies behind the culinary online universe, Copenhagen Food about Restaurant Kronborg. They have put together a guide, featuring the best places in Copenhagen to have your “julefrokost”. 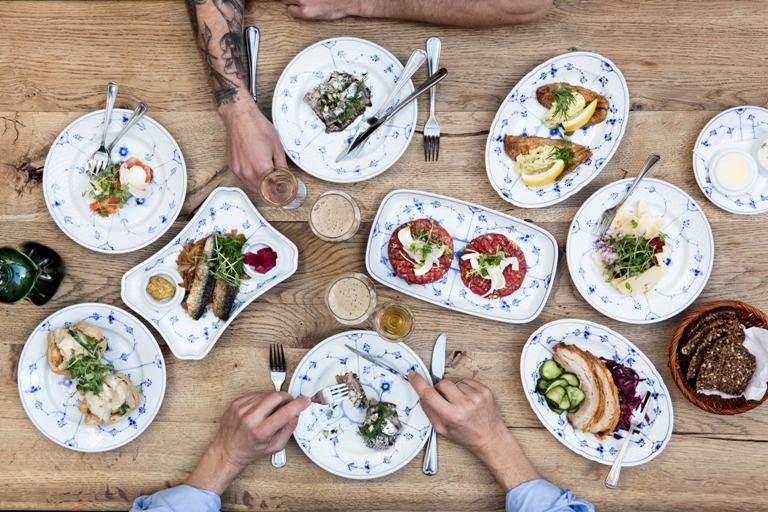 “From the friendly service to the Royal Copenhagen table-wear, to the traditional recipes executed to perfection, it’s a lesson in Danish food culture,” says the travel new app from the leading Nordic lifestyle guide, Scandinavia Standard, about Restaurant Kronborg. “This classic smørrebrød restaurant is truly the best of the best,” write the people behind the new app from the leading Nordic lifestyle guide, Scandinavia Standard, about Restaurant Kronborg. 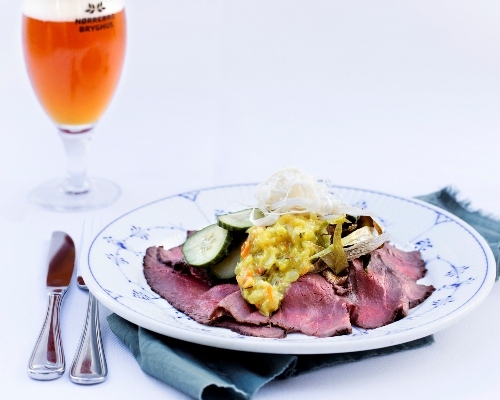 A classic smørrebrød combination you will see all over Denmark is roast beef topped with pickles, onions and horseradish,” write the editors of Lonely Planet’s new guide the ULTIMATE EATLIST. The guide ranks the 500 best eating experiences in the world. Smørrebrød comes in at 6th place. “When we travel, the food we eat tells a story, unlocking social customs and revealing ancient traditions, all while offering us a chance to connect with the locals in an organic way,” write the people behind Lonely Planet, arguably the world’s most influential travel guide publishing house. “You can’t go far wrong, though, if you opt for this well-respected, traditional, lunchtime-only place tucked away on a side street off Strøget,” writes Suzanne King under the headline “The Best Restaurants in Copenhagen” in The Telegraph. “Think of Copenhagen restaurants and most people instantly think of Noma,” writes Copenhagen Expert Suzanne King in Telegraph Travel under the headline “Best Copenhagen Restaurants”. 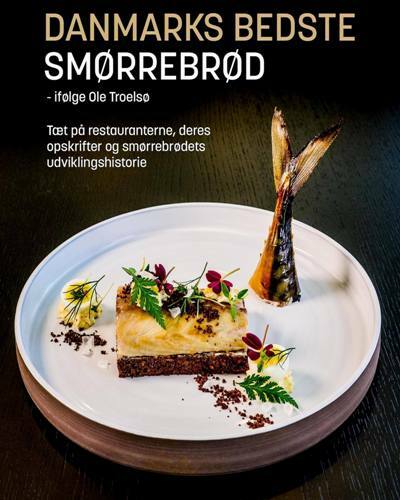 “This book will guide you to places which are in command of their genre, portray the places and the people running them as well as tell the complete story about how ‘smørrebrød’ has developed through the ages,” says Ole Troelsø about his new book, “Denmark’s Best ‘Smørrebrød’”. “’Smørrebrød’ (aka open sandwiches) is not what it used to be. 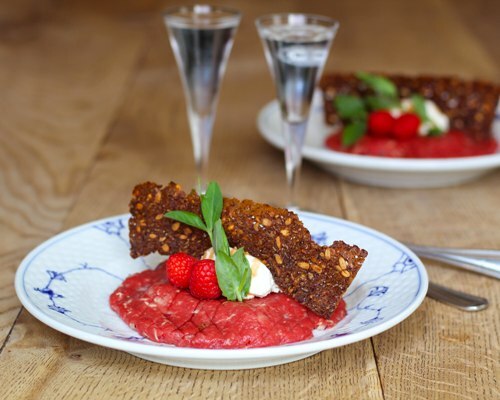 It is so much better,” writes Ole Troelsø, Author and Culinary Editor at the Danish business daily Børsen, in his new book “Denmark’s Best ‘Smørrebrød’”. Process the meat in a meat grinder, until all the fat and irregularities are gone. If you do not have a meat grinder this can be done with a super sharp knife. Stir the minced meat with all the ingredients and season the mince with salt & pepper. Stir the smoked cheese with the sour cream and season the mix with salt & pepper. Leave the syrup to cool off. If the syrup is too thick you can thin it with water, if it is too thin you can boil it for another couple of minutes. Spray a roasting pan with lard. Place the slices of rye bread on the roasting pan and spray them with lard on top. Sprinkle salt and pepper on the slices of rye bread. Bake the slices of rye bread till they turn crisp (10-15 minutes at 150 degrees Celsius). Make balls of the meat and punch the balls till they have the size and thickness you want. Cut the surface of the tartare with a knife to create a criss-cross-pattern and place the tartare on a plate on top of the buttered bread. Place a scoop of the crème (about the size of a hen’s egg) on top of the meat. Pour the raspberry syrup in zigzag-pattern over the crème. Garnish with raspberries, rye bread crisps and fresh herbs. The Danish Veterinary and Food Administration writes on its website: “The risk of getting infected by salmonella from store-bought Danish eggs is very small. 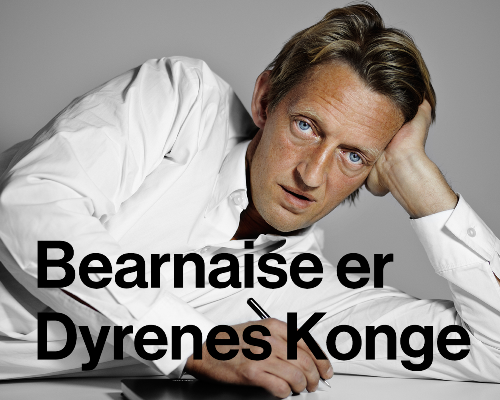 You will hardly find any salmonella in Danish eggs.” (updated on 2 August 2017). Furthermore it is necessary to maintain a very high kitchen hygiene and use super fresh meat, when serving beef tartare. If you want your beef tartare to pack more of a punch, add more fresh horseradish. We recommend a flavourful King’s County Brown from Nørrebro Bryghus and a classic Kronborg Akvavit with the beef tartare.